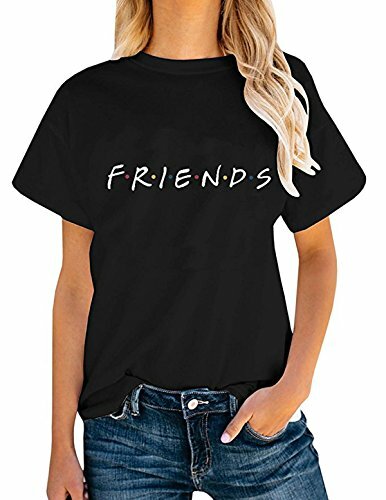 It is not TV Show Friends but with Friends prints Letter Top, cuffed sleeve, short sleeve, crew neck, solid color shirt Classic Comfortable Fit Tees Easy to Match with Shorts,Skirts or Jeans. 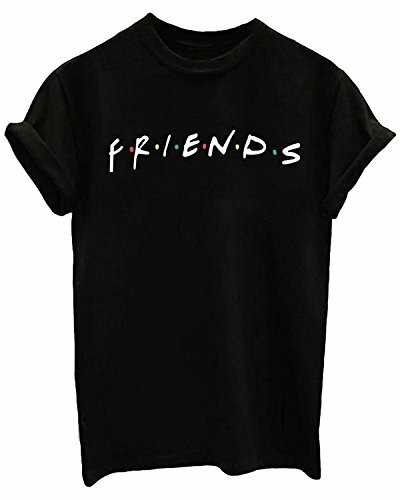 Letter print, cuffed sleeve, short sleeve, crew neck, solid color shirt Guarantee: 30 days money back guarantee. 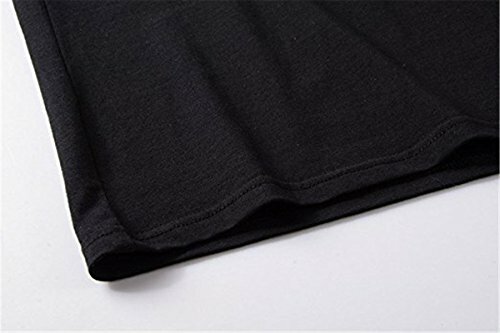 We take so much pride in our products, and we guaran tee our customers 100% satisfactions or 100% money back in 30 days! No questions asked! However,if you are unsatisfied in either way,you have No-Questions-Asked, 30-DAY Money-Back Guarantee. If you have any advise about the product or service,welcome to email us and we will collect all the suggestion to see whether upgrade the product.That is what we are doing now.And we will keep it up. BRAND:Designed and manufactured by FCYOSO,which is a registered trademark protected by both Amazon and US law,Serial Number 87041277 ,We have never authorized other sellers to sell FCYOSO products.